Graded Main Stud Book Status Sports Pony Stud Book 78.50%. Inspected and Accepted Stutbuch I By Germany with two Societies. 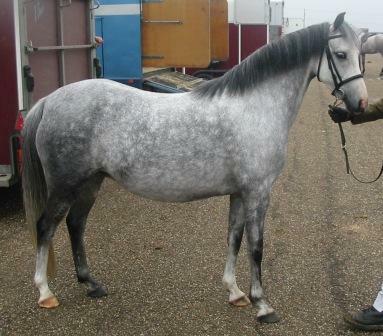 Awarded Brood Mare Diploma by BEF Futurity Scheme. 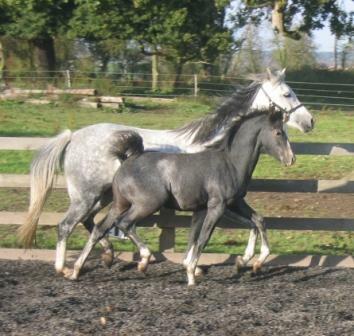 Bred Supreme Champion Foal and Graded Mare. 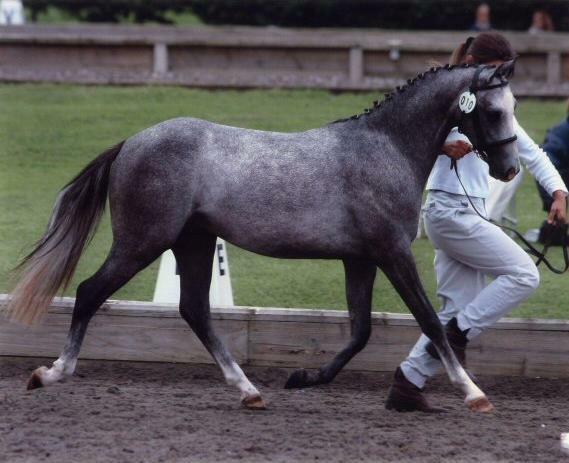 Welsh Sec B, 12.2hh, Iron Grey, born 1999. Swallow was bred by Mr and Mrs Lord of Loveden Stud. 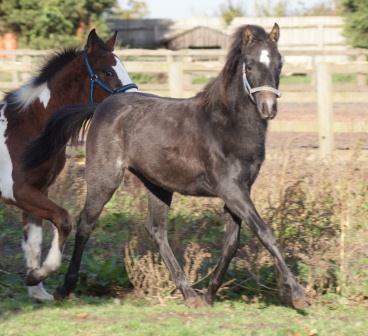 She is one of our foundation brood mares who we use to utilise the most fabulous bloodlines, with ponies such as Keston Royal Occasion said to be one of the best Section B's and exported to Australia alongside Downland Chevalier, Downland Mohawk and of course lineages to the most famous Rotherwood stud we feel privaliged to have her in our yard. She has only been lightly shown as she has been a superb broodmare for us although is probably wasted just stood in the field she really should be utilised in the show ring, but has qualified for Ponies Uk and been placed at County level in her few outings. 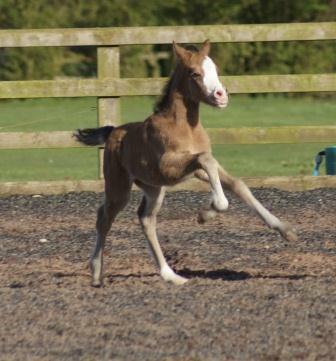 Swallow produces stunning stock and we have numerous foals out of her all of which are super moving and have suberb temperaments and conformation, click on pictures below to go through to their pages. 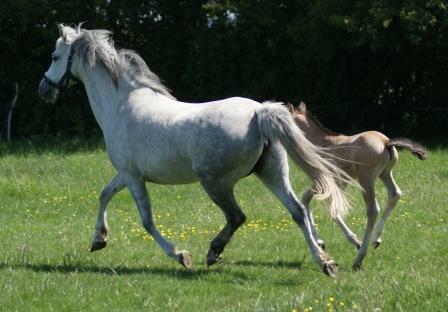 She has been graded into the main stud book with a score of 78.5% of the Sports Pony Stud Book. In 2008 Swallow was accepted into the German Stutbuch I of the Pferdezuchverband Sachsen-Thuringen e.V with a superb average score of 7.5 gaining 9 for Type which we were thrilled about. 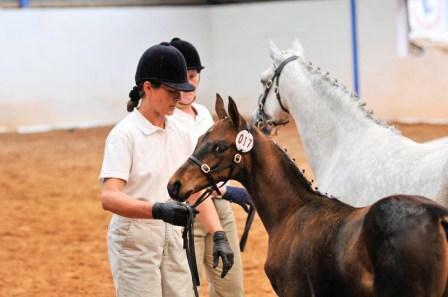 Swallow was also awarded a Broodmare Diploma from the British Equestrian Federation for her foal Bathleyhills Sea Spray for scoring a First Premium and the Baileys Horse Feeds BEF Futurity 2008. 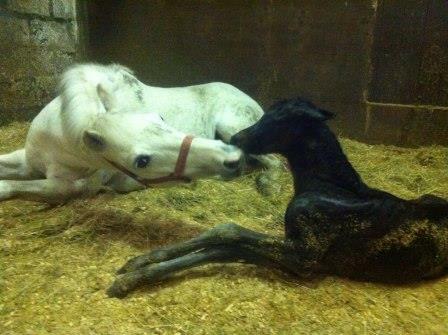 We have a super relationship with her breeder who comes annually to visit and see Swallows foals!!!! 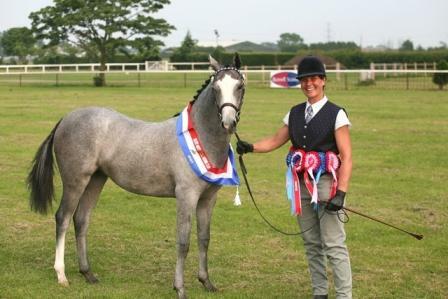 Swallow now in 2009 has her first Granddaughter "Bathleyhills Swift" out of Bathleyhills Sea Swift to carry on her fantastic bloodlines to a second generation, she gained a Reserve Championship at her first show. 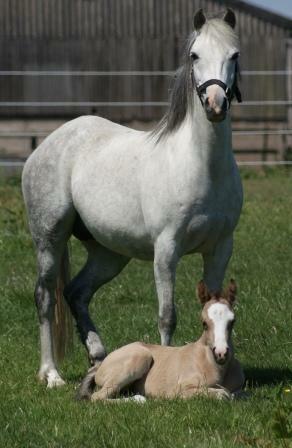 Time and Time again we realise how lucky we are to have such a special mare who produces such fabulous foals every year. Bathleyhills Sea Mist "Seymour" 29th June 2003 - Sold to Ireland.